Renowned for our 4 star accommodation, fine dining and breathtaking views, The Red Door Country House is nestled on a 4 acre site overlooking Lough Swilly in Inishowen, Co. Donegal in the North West of Ireland. 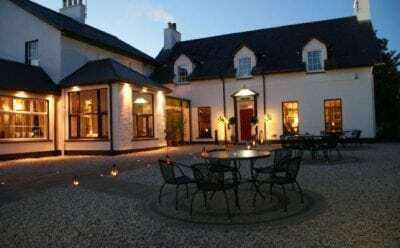 Situated between Derry and Buncrana, at the gateway to ‘Amazing Grace Country’, this is the perfect destination for a break away in counties Donegal and Derry. Built in 1789, the tradition of a country house is today cleverly combined with contemporary luxury and style. Beyond the landscaped surroundings are extensive vegetable and herb gardens that provide the restaurant with delicious fresh ingredients.